Make Some Phone Calls – Assuming first responders have already been called and are working on putting out the fire, the first thing you need to do is contact family members. Give them any necessary information, including updates on your safety. Next, call your insurance provider. It is important to get in touch with the insurance company as soon as possible so that a claim can be filed. Be sure to save receipts if you go to a hotel for emergency lodging, as this can be used in your insurance claim. Find out When it will be Safe to Reenter – If the damage was too severe, you might not be able to go back inside. Make sure first responders have put out the fire and authorities have finished investigating before reentering your property. Secure the Property – Most insurance policies require that you secure your property to prevent looting. Ask emergency services how to do this. Get a Copy of the Fire Report – The fire report contains specific information about the fire that will be needed to process your insurance claim. It will include what area of the house the fire was in, the time, date, and other important details. Call the fire department to get a copy. If arson is suspected, the arson investigation unit may have this report as well. Call Fire Restoration Contractors – Once you have all of these steps completed, the next thing you need to do is begin the cleanup. 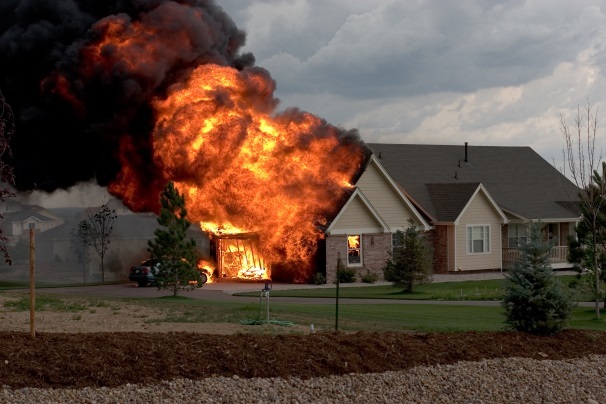 If your home is not a total loss, fire restoration contractors can help you restore your home to its previous, habitable condition.